It is no secret that the healthcare ecosystem is undergoing rapid change — established paradigms are dissolving and customer needs and expectations are shifting. Pharmaceutical companies are increasingly turning to new and innovative ways to connect with their customers, to understand what they actually want, and the real-life challenges they face. In order to differentiate in an increasingly crowded marketplace, leading companies are beginning to imagine their offerings not as standalone products, but as part of a broader experience that addresses their customers’ real and complex needs. 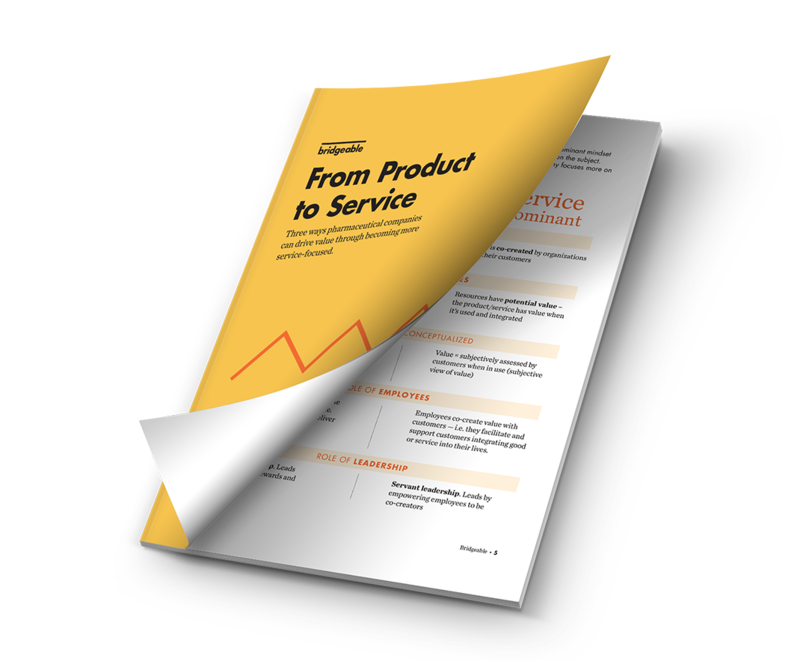 Our free eBook, From Product to Service, can show you where to begin on your service-oriented journey.